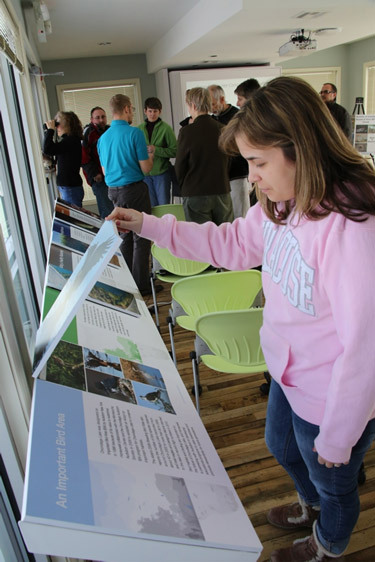 Home » Gallery "Citizen Science Event at Onondaga Lake Visitors Center"
March 2013 - Participants gather at the Onondaga Lake Visitors Center for an Onondaga Lake Conservation Corps "Citizen Science" Event. 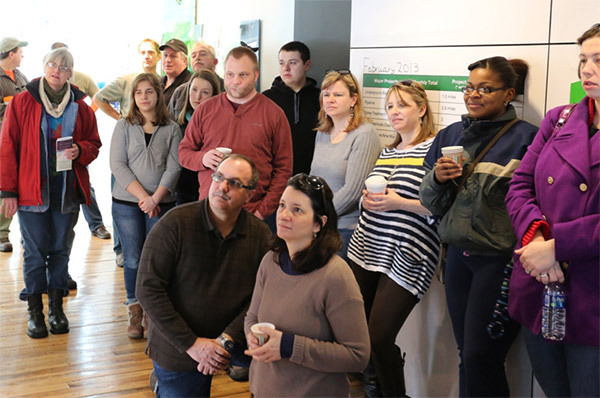 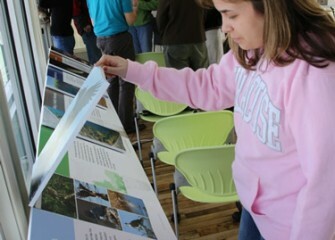 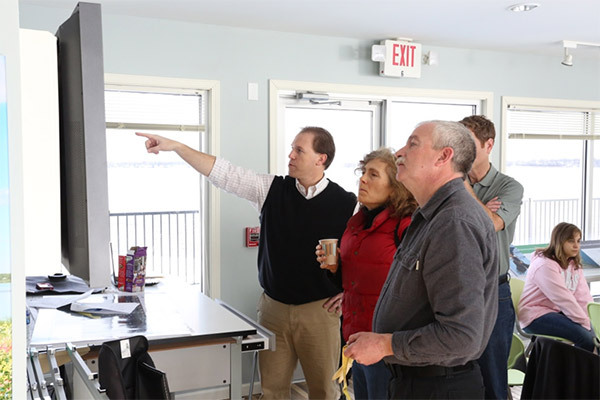 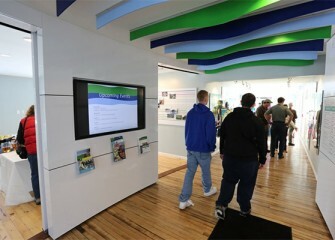 March 2013 - Before the program begins, participants view a video on the Onondaga Lake cleanup process. 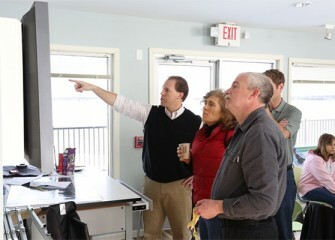 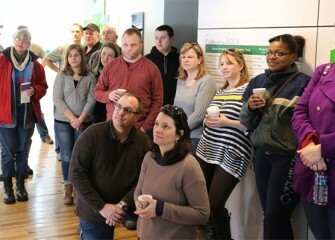 March 2013 - Twenty-seven community volunteers view a video about the Onondaga Lake cleanup. 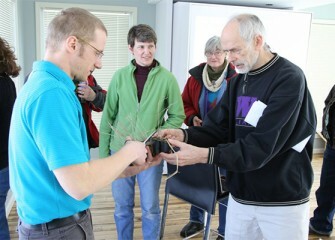 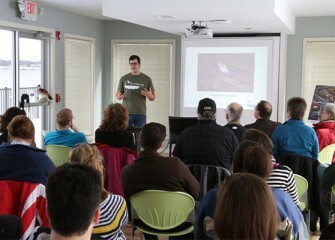 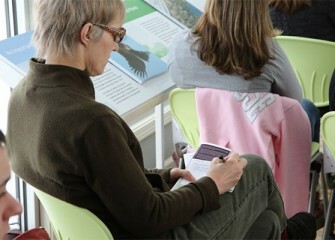 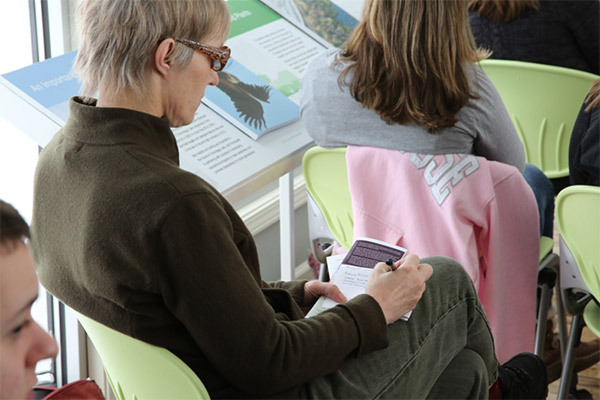 March 2013 - Volunteers learn from habitat experts from Montezuma Audubon Center, O'Brien & Gere, and Anchor QEA. 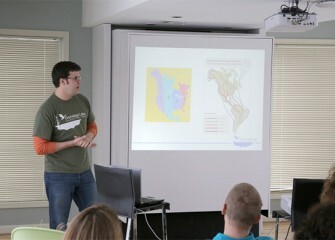 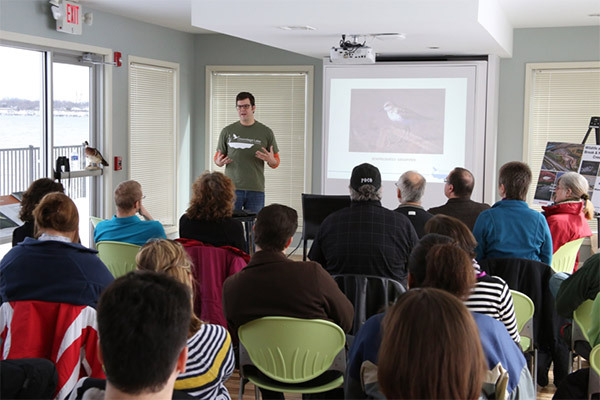 March 2013 - Frank Moses, director of the Montezuma Audubon Center, talks about the Onondaga Lake watershed and its value as an Important Bird Area. 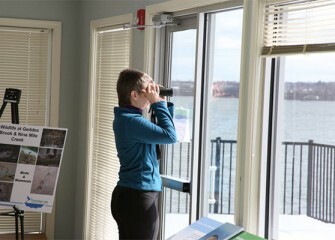 March 2013 - Audubon’s Important Bird Areas Program is a global effort to identify and conserve areas that are vital to birds and other biodiversity. 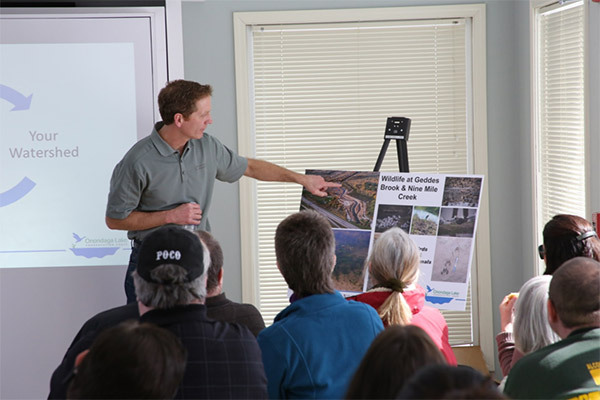 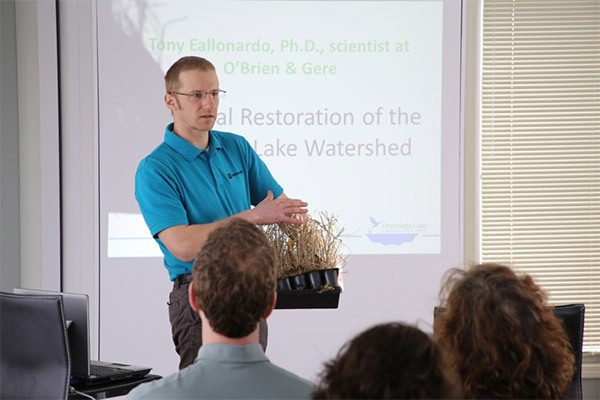 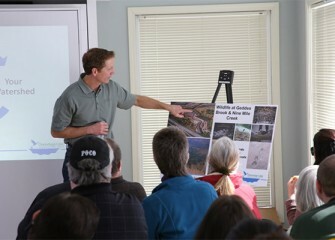 March 2013 - Ryan Davis, Ph.D., senior managing scientist at Anchor QEA, describes enhancements made at the Geddes Brook Wetland and Nine Mile Creek. 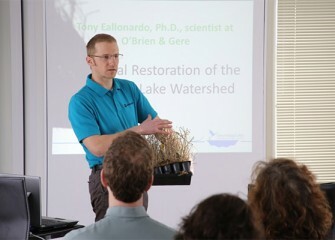 March 2013 - Tony Eallonardo , Ph.D., project scientist at O’Brien & Gere, talks about native trees, shrubs and grasses planted at sites after contamination has been removed. 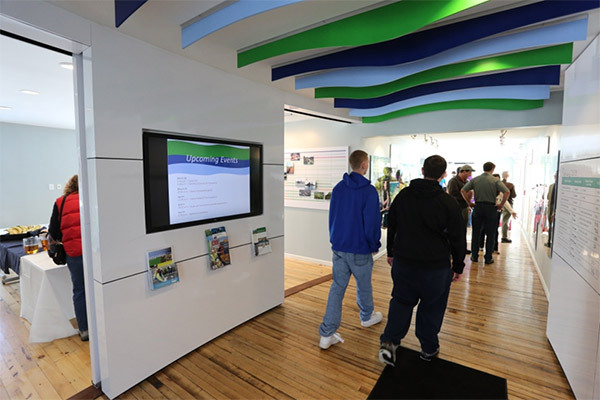 March 2013 - Onondaga Lake Conservation Corps volunteers continue to learn from the exhibits at the Onondaga Lake Visitors Center after the program. 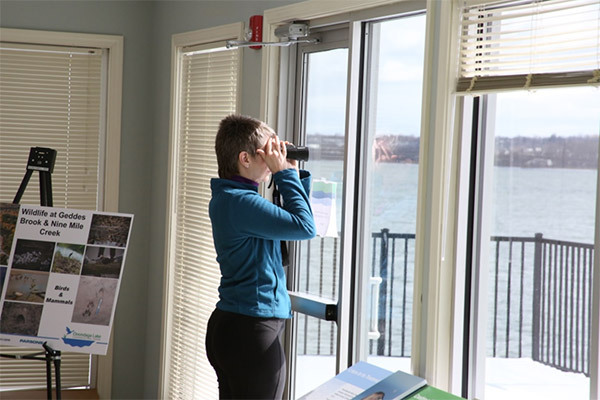 March 2013 - Waterfowl are visible on Onondaga Lake from the Visitors Center. March 2013 - Before departing, Onondaga Lake Conservation Corps environmental stewards are given prairie cordgrass, a native plant that formerly grew in the inland salt marshes adjacent to Onondaga Lake.